Entries are now closed. We will notify you if your application was successful. Syngenta believes that the future of agriculture should be shaped rather than left to chance. Therefore, in partnership with the University of the Free State’s Business School, we have developed a tailored programme for young commercial growers to equip them to address the challenges of tomorrow. Click on the images below to view a few of our alumni’s profiles. © 2019 Grain Academy. All Rights Reserved. Digital Project Management by Lumico. I am a Sales Manager for Syngenta in the Southern region. Why did you apply to the Grain Academy? Over the last few years with Syngenta’s involvement with the Grain Academy I have heard a lot of good reviews of the course. I wanted to apply as an opportunity for personal growth. What are you hoping to get from this experience? With the changing climate in the agricultural environment you have to be able to adapt and grow to move forward. I would like to learn valuable skills that could apply to my work environment. My hobbies are playing sports like squash and golf. Also spending time with my daughter, friends and family. I farm in Welkom in Free State. I am a crop farmer in Lukhanyiso. To learn more about farming and broaden my knowledge. Experience, a broad spectrum of networking, continuous learning and skills development. I want to improve my farming skills so I can help my community. Playing rugby, hiking and reading. I farm in Ventersburg, Free State Province. My main farming enterprise is breeding Bonsmara weaners, for the auction and feedlot market. I also farm with Pekin Ducks and I plant green mielies (sweet corn ), spinach and yellow maize. To gain exposure to established agribusiness practices, personal development and networking. To enhance my leadership skills and learn successful farm management strategies. I am farming in Wepener, South Free State on a farm called Wilgedraai. We are a co-operative farm, working with mixed farming, mainly cattles (Bonsmaras and Ngunis), crop (maize, sunflower and lucern), we’re also about to start a feed mill on our farm. To learn more about grain/ crops in terms of which season is best for planting, type of soil to plant on, how to prepare the soil, types of grain/ crop and all the different type of fertilizers to use. To gain a good understanding of the different types of grain/ crop. I’ll be planting in my region and I want to learn about the problems I might encounter. With all this experience I’ll be able to help some up and coming farmers and some neighbouring farmers. We farm in Parys with dairy, beef, maize and soya. The core of the business is dairy processing. I entered Grain academy after following it last year and seeing the great course material that the candidates were challenged with in 2017. I enjoy being exposed to new information and gaining knowledge that can better our businesses. Off-road racing, adventure riding, hunting and shooting. I farm in Vryheid, KwaZulu Natal. I farm with white maize, soya beans and Stud bonsmaras. I applied to the academy to access more technical information regarding the industry. I hope to get more technical knowledge and learn more about strategic planning and collaboration strategies in the sector. I am a Volleyball player. I am also an accounting and economic scholar at the University of Zululand. Agricultural chemical advisor for Nulandis in the Prieska area. Our area consists of maize, wheat, cotton, pecan nuts and vineyards. I would like to expand my horizons and I see this as a life enriching opportunity with my eye on the possibility of studying further in the future. To engage with other young adults and experience others viewpoints while in the process learning more about myself. Hunting, mountain biking, canoeing and basically any outdoor activities involving adrenaline. Hertzogville, Boshof district. We have a mixed farm that consists of seeding, game farming, cattle farming and sheep farming. I have a transport and speculation business that does contract work with Beefmaster and Suidwes. Further, I am a buyer for Beefmaster in the Free State and Northern Cape district. I would like to develop myself, expand my knowledge and become a successful person, farmer and business man. I hope to gain knowledge, experience and contracts. My hobbies are hunting and riding motorcycle. I’m part of the COFCO International farming team. I’m the Field Manager in the Eastern Free State and farm with maize, soybeans, sunflower and wheat. Some of my team members that has completed the course nominated me. It seems like the course benefitted them a lot. I like developing my skills and knowledge in my field and everyday life. I hope this course can help with that. Mountain hiking, outdoor life and nature and spending time with my family. I farm with table grapes near De Doorns. I am an Assistant Manager on the farm and my duties include managerial tasks and making sure things are done correctly. I applied to the Grain Academy to get more experience about leadership and to grow as person in the agriculture environment. I am hoping to improve my leadership skills and to learn as much as I can. I enjoy mountain biking and outdoor activities. My father and I farm mainly with maize and cattle in the district of Potchefstroom in the North West Province. I am the fourth generation on our farm and in order for me to succeed in ensuring that it continues for generations to come, I feel the need to equip myself with various skills for a changing agricultural sector. To gain important management and leadership skills, on a personal and professional level, that I can use strategically to grow our business effectively and ensure it’s profitability. I enjoy hunting, sport shooting and spending time with my family. I’m the Group Commercial Manager looking after all intergroup synergies and new business development. I also sit on the board of Directors. It comes highly recommended by previous graduates. I hope to be challenged by different ideas and viewpoints, and also to be better equipped to make a positive contribution to the future of Agriculture in SA. I enjoy participating in sport, cooking and making music. I am currently farming on a leased farm in the Northern Cape Province, 250km west of Kimberley. I farm with beef cattle, Dorper sheep, Boer goats and crops. In the year 2018 I plan to diversify with vegetable production, starting with peppers in August, followed by Swiss chard. The Grain Academy offers a unique opportunity to young farmers to hone their leadership skills. I have always been on the lookout for a tailor-made course, which is geared to instill the art of leading specifically at farm or agricultural level. I expect to gain insight on leadership at farm level and how to embrace change in the agricultural sector. I also expect to acquire a set of skills on strategic thinking and giving direction specifically in the agricultural sector. I enjoy mountain biking, fishing and reading. I farm in Cedarville in the Eastern Cape. I produce maize, wheat, dry beans, carrots, cabbage and potatoes. Skills development & technical skills improvement on crop production and to further my network of relevant associates in the industry. Improved skills and learning of innovative ways on crop production and general best practice in both production and management. Outdoors (more so the beach) & F1 racing fanatic. I am a Farm Manager for Eulogeo Boerdery, Rusplaas, situated between Wesselsbron and Bothaville. The farm belongs to Nico Maree. On Rusplaas we plant maize, wheat, ground nuts, soya beans and sunflower, which I am responsible for. Then there is different divarication situated in Parys: livestock and a game farm. I had the opportunity to buy my own farm, Blyvooruitsig (situated close to Wesselsbron) which I am planting, maize, ground nuts and sunflower on. I am also renting a piece of land where I plant maize and sunflower. I see this as a great opportunity to study and learn new skills of leadership and self-confidence. I want to grow as a farmer and be taught new skills which will help me do a better job as manager and help me with all the new challenges we’re facing. My hobbies and interests include horseback riding (endurance riding), reading, sport and spending time with family. I farm in Edenville, in the Northern Free State. My operation is a mixed farming business consisting of maize and sunflower production as well as Beefmaster cattle and Merino Sheep. To keep being relevant and growing your business in the current economic and political climate, the access to information and networks are critical – I believe that the Grain Academy creates the ideal platform. Skills and tools that will assist me to make better decisions. Gholf, fly fishing and research about local and international farming practices. Currently I am not farming as I am planning to do my Masters in the beginning of next year. I however have experience in growing maize and potatoes. I also did some market gardening with lettuce and onions – I supplied the produce to restaurants and supermarkets. I am always keen to learn more as the agricultural field is broad with a lot to learn. I hope to apply everything I have learnt fully. I hope to get a deeper understanding of agribusiness and hopefully apply the knowledge when I further my education and resume my farming endeavors. I enjoy reading research articles on agriculture, playing tennis and watching movies. I am an Agricultural Officer at Maluti-A-Phofung Local Municipality. I work with local emerging farmers that farm with maize, soybeans and dry beans. During my school years we covered crops, but I majored in animal production in my final year. This will be an opportunity for me to gain more knowledge and be able to help grain farmers in the area. I am hoping to learn more about grain crops and also learn more about the business side of farming. I love reading books and hiking. Riviersonderend, Western Cape. We farm with wheat, barley, canola and Merino sheep. I saw this as an excellent opportunity to grow and expand my knowledge and leadership skills. I’m hoping to grow personally and professionally by bettering my leadership and problem-solving skills and then to apply these skills and knowledge in everyday situations arising in an ever-changing industry. Some include hunting & range shooting, spending time with friends and family, cooking, reading and even brewing my own beer from time to time. Bultfontein, Free State. We farm with maize, sunflowers, soybeans, wheat, pecan nuts, cattle and sheep. It’s a family farm and I’m responsible for the maize, sunflowers, soybeans and wheat producion. I heard about the Grain Academy from a friend that attended one of the first courses and he highly recommended it. I’m hoping to gain knowledge on management and leadership skills to implement into our company to help it grow in the right direction. I live and farm at Salt Lake, near Douglas in the Northern Cape. My wife and I farm with cattle and game. We also manage Witfontein Game Lodge and run a river rafting company. I applied to the Grain Academy because I think it is a huge opportunity to learn more about business and leadership in the agricultural sector. I also think it is a great opportunity to grow personally. I hope to gain a greater insight into businesses and to develop my leadership skills so that I can make a meaningful contribution to our economy and successfully take our family businesses, which have been build up over many generations, forward. I love being in nature. I really enjoy outdoor actives and adventures like, mountain biking and river rafting. People and new horizons excite me. I am an avid traveller and don’t need an excuse to see the world with my wife. Montagu and Robertson. I farm with almonds and process the almonds further. I wanted to improve my leadership skills and I believe we need to improve our business skills for a better future in agriculture. To build relationships with upcoming farmers and to equip myself with the skills needed to improve our business. Mountain biking, golfing and off-road racing. I am farming in Guba Farms under Indwe/Lady Frere in Chris Hani, Emalahleni. I am currently farming with yellow maize, sorghum and Camborough pigs. I applied to the Academy in pursuit of growing my knowledge and skills further with regards to finance and production standards from small-scale to commercial level to run a profitable and sustainable farming enterprise. With this opportunity, I hope to learn a lot on the principles of agribusiness, the markets, access to – and management of – finance and thus enhancing sustainable production and contributing towards the country’s GDP in the agricultural sector. In all honesty, my hobby/interest is investing in my farming activities and making sure that I produce good quality products in striving to grow the enterprise. I am also part of the Grain SA/Jobs Fund Farmer Development Program, as a Mentor under the Mthatha office. Touching base with the rural community through helping them better their grain production skills has been the highlight of my 2017 cropping season. I am a member of Vrichfontein Boerdery BK alongside my father where we mainly farm with maize, soya and sunflowers. I am responsible for all the sow and my father for the livestock. I am also responsible for managing the marketing of our grain commodities and all the pricing. The farm is situated near Arlington in the Eastern Free State (about 40km west of Bethlehem). I would like to broaden my knowledge of the grain market as well as gain a better understanding of it. I also want to learn certain leadership methods and apply it in my own business. I hope to better manage my farming business after attending this course. I enjoy cycling as well as gymming in my free time, although there is not a lot of free time with livestock farming. The Syngenta Grain Academy welcomes Ronald Niksch to the Class of 2017. Farming in Bothaville, Free State, Ronald farms with maize, sunflower, ground nuts and wheat. He loves farming and farms with his father and grandfather. 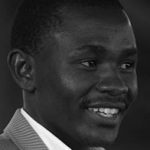 Ronald joins the Grain Academy in the hope of learning even more about the agricultural sector. Furthermore, he would also like to improve his leadership skills. The Syngenta Grain Academy welcomes CP Scheepers to the Class of 2017. Farming in Bothaville, Free State, CP farms with maize, sunflower and a little bit of pumpkin. He loves farming and describes it as both a career and a hobby. He is also an avid golfer. CP joins the Grain Academy in the hope of learning even more about the agricultural sector. Furthermore, he would also like to improve his leadership skills. He believes that his generation will be the leaders of tomorrow. 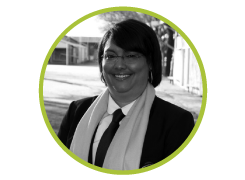 The Syngenta Grain Academy welcomes to the Class of 2017, Alfreda Mars from Tulbagh in the Western Cape. She farms on a 260ha farm with mainly wheat and oats. Alfreda is a mother who loves cooking, reading and gardening. She believes that it is very important to continuously be part of training and skills development, therefore she is looking forward to the Grain Academy. 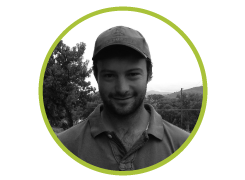 Ruan Lange, an avid farmer from Ermelo in Mpumalanga, will be joining the Syngenta Grain Academy Class of 2017. He is an versatile, ambitious and resourceful farmer with 3 years of experience in the corporate farming industry. Ruan obtained a Bachelor degree in Agriculture from the University of the Free State. His interests include fishing, hunting, travelling and golf. By participating in the Grain Academy, he hopes to enhance his leadership skills and contribute to the long-term success of agriculture as a whole. 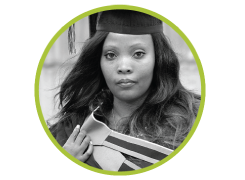 We are proud to welcome Brenda Sas Tlhabane to the Syngenta Grain Academy Class of 2017. Brenda farms in Bela-Bela, LImpopo, with sunflower and maize. She enjoys spending time with her family, travelling and making a difference in the agricultural sector. Brenda hopes that this programme will help her manage her farm better. She also wants use the knowledge gained from the programme to empower women and youth. The Syngenta Grain Academy is proud to welcome Jozua Du Plessis to the Class of 2017. Jozua farms in Delmas, Mpumalanga. The Du Plessis family farm mainly plants maize, soyabeans and potatoes. When Jozua is not busy on the farm, he enjoys flying, riding his motorcycle, fishing and spending time with this family. He is father to two beautiful girls, with a third addition to the family on the way. He hopes to gain as much experience as possible from the Grain Academy and believes that one can never know enough and therefore he wants to keep building on what he already knows. Preline Julius Swart joins the Syngenta Grain Academy Class of 2017. Preline farms in Bredasdorp, close to her hometown Elim. The major crops that Preline farms with include wheat, barley, tricole and oats. Preline loves her family and is mother to two kids, four stepchildren and three grandchildren. Her hobbies include reading, singing and seeing new places. She is also very fond of laughing and motivating people. Preline hopes to empower herself through the Grain Academy experience and to explore more things, learn more and to make new friends. 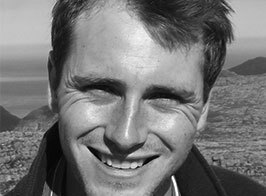 Petru Fourie joins the Syngenta Grain Academy Class of 2017. Petru is passionate about agriculture and she has been working for Grain SA since 2008. She holds the position of research coordinator and economist. Petru studied at the University of the Free State, graduating with a Master’s degree in agricultural economy. Her hobbies include sports and being active, as well as reading and the outdoors. She is looking forward to being equipped with new skills and leadership methodologies in order to address the challenges agriculture is faced with. The Syngenta Grain Academy welcomes Shane Buchanan to the Class of 2017! Shane farms mainly with maize and soya beans as part of the summer growing season and wheat as part of the winter growing season – all part of the crop rotation program. He recently joined the family farming business, having qualified and worked for a few years as a civil engineer. His hobbies include making time for family, friends and travelling. Shane hopes to develop business awareness and leadership skills through the Grain Academy. He also look forward to meeting fellow farmers, and learning more about agriculture in South Africa. 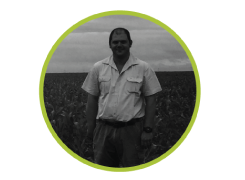 The Syngenta Grain Academy welcomes Steven Matthews from Lichtenburg in the North West. Steven is a farmer and stud auctioneer. His family farm has both a cropping and livestock division. Steven is passionate about immersing himself in agriculture and his hobbies include carpentry and traveling. Steven believes that the Grain Academy will give him an opportunity to develop himself as an individual and as a farmer. He hopes that this program will challenge him to look at his farming operations differently and in so doing help him identify areas where he can improve. He recently joined the family farming business, having qualified and worked for a few years as a civil engineer. His hobbies include making time for family, friends and traveling. Shane hopes to develop business awareness and leadership skills through the Grain Academy. He also looks forward to meeting fellow farmers and learning more about agriculture in South Africa. 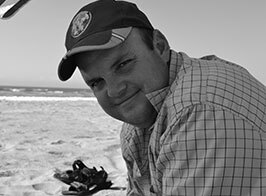 Thinus du Plessis, a farmer from Lichtenburg in the North West, has been accepted as part of the Grain Academy Class of 2017. Thinus mainly farms with maize and sunflower. He is the father of two boys and his hobbies include camping, hunting, riding, spending time with family and friends. Joining the Grain Academy, Thinus hopes to improve his people and improve his managerial skills. We are announcing the Grain Academy Class of 2017. A warm welcome to Samson Tauzeni from Bulawayo in Zimbabwe. Samson manages a grain farming operation in Butterworth, Eastern Cape. Before Samson came to South Africa, he farmed in Zimbabwe for 13 years. His hobbies include watching rugby and cricket, organic gardening and touring. The Syngenta Grain Academy Class of 2017 welcomes Wessel van Dyk. Wessel farms in Napier, Western Cape. He mainly farms with wheat, barley, canola, oats and lucern. His hobbies include mountain biking and going to the beach. He hopes to better his leadership qualities, through the Grain Academy, to be able to invest in agriculture even further. Syngenta’s Grain Academy welcomes Solomon Tshongweni to the Class of 2017. Solomon hails from Villiersdorp in the Western Cape. He is mainly involved with grain farmers as an agricultural advisor. Solomon’s hope is to broaden his thinking through the Grain Academy experience and to plough all he learnt back into his community. His hobbies include camping, hiking and karate. Solomon also loves to meet new people. A young lady from Vryburg, North West, will be joining the Syngenta Grain Academy Class of 2017. Tuduetso Mogotlong mainly farms with maize, ground nuts, sunflower, legumes and lucern. She holds a B.Comm from the University of the Free State, as well as a National Diploma in Civil Engineering from the University of Johannesburg. She hopes that the Grain Academy will help her to adopt new smart farming techniques to be an efficient environmentally friendly farmer. Participants of the Syngenta Grain Academy include a farmer from Bochum in Limpopo, Dominic Nkoana. Dominic is a hardworking, independent, humble and caring farmer from the Limpopo district. Upon choosing a career path in agriculture, he went on to study the basics of crop production at the University of Limpopo. He enjoys walking in the bush and appreciating nature. He also offers mathematic lessons to high school learners in his spare time. Attending the Grain Academy, he believes, will enhance his farming and leadership skills to enable him to be more competitive and make informed decisions on risk management. Meet the Farmer of the Syngenta Grain Academy, Class of 2017. Mhlobo Mbane farms in Alice, Eastern Cape. He is a maize farmer and would like to participate in the Grain Academy to keep abreast of new developments and new technologies. Mhlobo’s family are avid farmers and he learnt everything that he knows about farming from them. He would also like to gain more exposure and make connections in the world of agriculture. He would also like to work on his leadership qualities. Meet the Farmer for the Syngenta Grain Academy 2017 event. Luwane Maqala hails from Harrismith, Free State. He mainly farms with maize, dry beans and wheat. Luwane has a B.Agric degree from the University of the Free State and farms on a daily basis. His hobbies include read and browsing the internet on farming-related topics. Luwane hopes to improve the standard of his farming through the Grain Academy. He hopes to improve the quality and quantity of his crop production. Gift was born in Empangeni in KwaZulu-Natal. He is married with two children and lives with his family on their farm in Bronkhorstspruit. He enjoys outdoor activities and playing soccer. 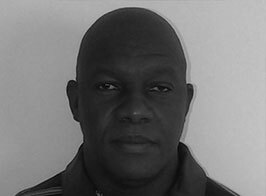 He has been in agriculture for eleven years and has received numerous awards and qualifications. For the past five years he had run his own farming business specializing mainly in maize, but also in peas, sweetcorn and beef cattle. He is a graduate of the Grain Academy class of 2016. Loots was born in Bloemfontein and has been married since 2011. He enjoys playing action cricket, camping and listening to good music. He farms on a 400 hectare farm with operations ranging from dairy, maize and sorghum. He has been active on the farm for four years, but took over all responsibilities from his father for the past two years. He is a graduate of the Grain Academy class of 2016. Owen was born in Cape Town and is married. He has a boy and a girl. 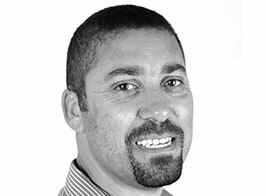 He enjoys cycling, spending time with his family and is an avid stormers supporter. He started out as a Sales Manager for Syngenta in the Western Cape for three years and has been a Field Biologist in the R&D department for Syngenta for 8 years. He is a graduate of the Grain Academy class of 2016. The youngest of four children, Frik was born in Bothaville in the Free State and has been married since 2006, with two daughters. He loves 4×4 driving and collects 1 : 64 scale John Deere farm toys. Frik has been farming with 1200 hectares of white maize since 1999. He is a graduate of the Grain Academy class of 2015. Wandile was born in Springs, Gauteng. She enjoys yoga, meditation, reading and cooking and was a chef before breaking into agriculture. Along with her younger sister and two parents, she is a director of their family business, Amatsweni Amahle Farming Enterprise. The business focuses mainly on beef cattle production, as well as soya and maize, on 144 hectares of land. Wandile is a graduate of the Grain Academy class of 2016. Daniel is 45 years old and is married to his wife with whom he has a son and a daughter. He is a church-goer and a member of the men’s league in his church. He was a teacher for 21 years and started farming part-time in 2005, but resigned from teaching in 2015 to farm full-time. His agricultural operations concern mainly livestock grazing on 450 hectares of land, as well as maize and sunflower planted on 200 hectares. Daniel is a graduate of the Grain Academy class of 2016. Karabo was born in Rustenburg in North West Province. 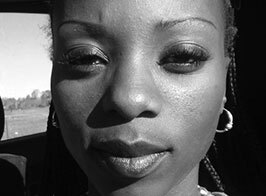 Residing in Boksburg, she is married and has a three year-old daughter. She enjoys meeting new people and traveling. 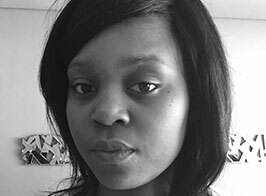 She has been working as an agricultural economist for the Agribusiness department within Absa through a graduate programme since 2012. She joined the bank through the graduate programme in 2012. She studied Agricultural Economics at the University of the Free State in Bloemfontein and is a graduate of the Grain Academy class of 2016. 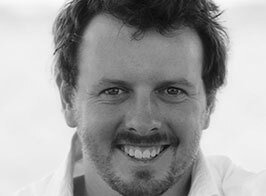 Christo was born in Bothaville in the Free State and has been manager of his father in law’s farm since 2011. The farm focuses on the production of 600 hectares of maize, and the breeding of cattle through synchronization of estrus and artificial insemination. In his free time, Christo is an avid hiker and fisherman and enjoys playing golf. He is a graduate of the Grain Academy class of 2016.